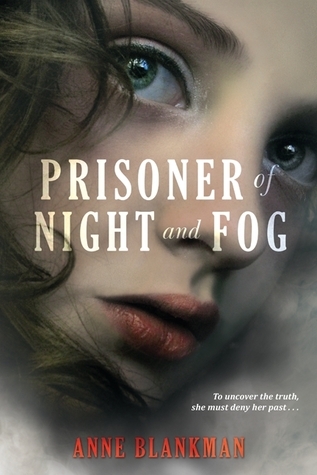 Prisoner of Night and Fog read like a research paper. It was dry and consisted of long sections of information dumps. The characters were not real people to me, they were merely a list of All-Star players meant to draw reader’s attention away from the fact that nothing was happening in regards to the plot. Every time the story was dragging Blankman would introduce a new character or an element from history, like Geli or the Munich Post. If things really started to drag Hitler would make an appearance and it was the equivalent of throwing out Michael Jordan at the All-Star Game. The crowd goes wild and is distracted from the entire story because we want to see what Michael Jordan, or in this books case, Adolf Hitler, is going to do. This novel also suffered from trying to do too much and failing to do anything at all. The main thrust of the plot was Gretchen trying to solve the mystery of her father’s death. The story also wanted to deal with psychopaths and psychology, the treatment of Jews in 1930’s Munich, Hitler’s romantic life, Hitler’s political life, Gretchen’s romantic life, Gretchen’s family life, the National Socialist Party, Berlin, The Push, World War I, post traumatic stress disorder and women’s place in 1930’s Germany. All of these topics, by themselves, are interesting. When lumped together and only given a few sentences here and there the magic of the topics is lost. Instead it made the story feel disjointed and more like a poorly put together research paper then a book. The characters in Prisoner of Night and Fog fell flat. Gretchen was supposed to be a smart girl and yet she was always the last person to figure out a problem or make connections. Daniel Cohen, was a Jewish reporter and that is all I know about him. Hitler who is a larger then life person, known for his speaking and ability to sway a crowd, never came to life. He wasn’t shown to be a leader, or even interesting. I just saw him as a creepy older uncle, which was a big disappointment. It should be no surprise that these flat characters produced a cringe-worthy romance. It has all the elements I love: forbidden love, secrets, people from opposite sides of the tracks, unfortunately because I cared so little for Gretchen, and knew almost nothing about Daniel, I found myself not really caring about their relationship. Overall, Prisoner of Night and Fog had potential but all the potential in the world doesn’t matter if it is never realized within the story. I think Anne Blankman is a talented writer, and researcher, but the characters never came to life for me and so the book became a chore to get through rather than something to enjoy. Thank you Balzer + Bray for allowing me to review an advanced reader's edition of this title.